The Walt Disney company has its sights set on the subscription streaming industry and it looks like the iconic entertainment brand, as it’s known to do, is going to take over. 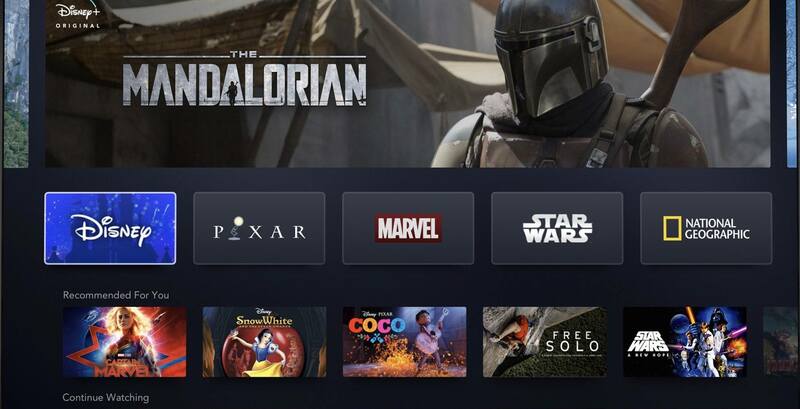 Disney+ will offer fans of all ages a new way to experience the company’s unparalleled content from their wide variety of brands, which include Disney, Pixar, Marvel, Star Wars, and National Geographic, all of which can be connected to your TV and mobile devices. In a Twitter thread, Disney revealed details and content offerings of its new service, which included access to every Star Wars movie, a slew of Marvel Cinematic Universe-related TV shows and an extensive movie library containing classics like Mary Poppins and Alice in Wonderland. Disney+ will launch in the US market on November 12, 2019 (for $6.99 a month), and in its first year it will release more than 25 original series and 10 original films, according to the company. Though no date has been officially announced for Canada, Disney+ will launch in “every major region of the world” over the next two years. Much like its streaming competitors, the platform will use an algorithm to bring viewers user-specific related suggestions along with columns that include Disney+ Originals, Recommended for You, and Continue Watching. Like Netflix, Disney+ will allow users to add series and movies to a personalized watch list. (And it better have a lot of room). Mr. Iger posted a ‘first look’ of Disney+ and a video of the service’s landing platform can be found on the Walt Disney Company website as well as in-depth details about original content. The platform will allow account holders to establish multiple user profiles as well as parental controls. Hand it to the Mouse, they seem to be sitting pretty. Speaking of which, now would probably be a good time to start investing in a bigger, comfier couch.